The essence of who we are is Magnificence and when we allow ourselves to live in alignment with our unique Magnificence, we feel alive. 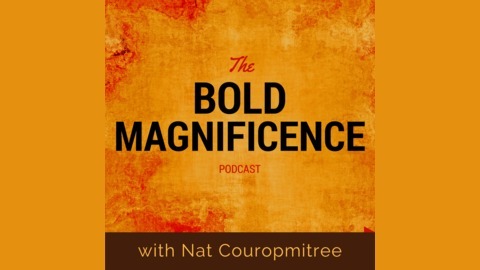 The Bold Magnificence podcast features conversations with entrepreneurs who have boldly chosen to live in alignment with what makes them come alive. In each episode, guests share: (1) What currently lights them up; (2) The inner and outer shifts that make it possible to enjoy their current experience; and, (3) They share a practice which keeps them in alignment. 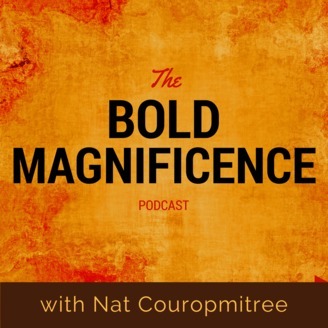 Nat Couropmitree is the host and creator of this show. His intention is to inspire what's possible and show the diversity of expressed Magnificence in our world. Nat will also be sharing personal insights to support you in living your version of Magnificence. New episodes are published every Tuesday and Friday. Geoff Laughton, is a Relationship Expert, known as Your Relationship Architect. He is also the author of the internationally best-selling books, “Building a Conflict-Proof Relationship” and “Built to Last: Designing & Maintaining a Loving, Lasting and Passionate Relationship;” a speaker, retreat leader, and sought-after relationship coach serving people across the world. For the last 21 years, he’s been teaching couples & individuals how to design and build the conscious, extraordinary relationship and life they truly desire. He is also the CEO and lead facilitator of The Evolving Man men’s awakening work.